The air was cold. Not cold like it should’ve been on the 9th of February, but cold. Sort of crisp, like fall. The whole winter had been pretty mild and the day I’d decided would be her last to suffer, was no different. I was grateful the bitter cold had held off as I stood in her stall, running my hands over her face and neck, fluffy with her winter coat. 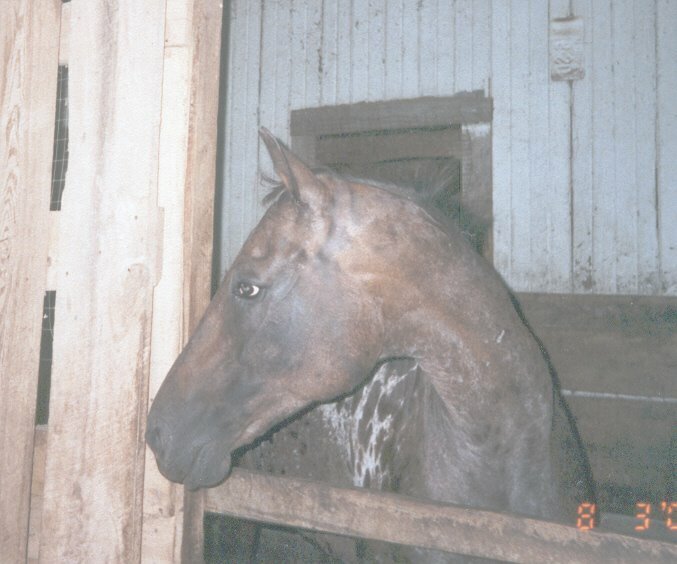 My horse stood with her head down, her nose pointed into a corner and I wasn’t sure if she even knew I was there. One week had morphed into what felt like a moment that would both never end and end too soon. It started like colic. She didn’t eat her supper one night and began pawing and stomping. After walking her around for a bit she seemed to have interest in her hay again and started to eat. I was mistakenly relieved. By the next day, it was apparent that she was sick enough to call the vet. 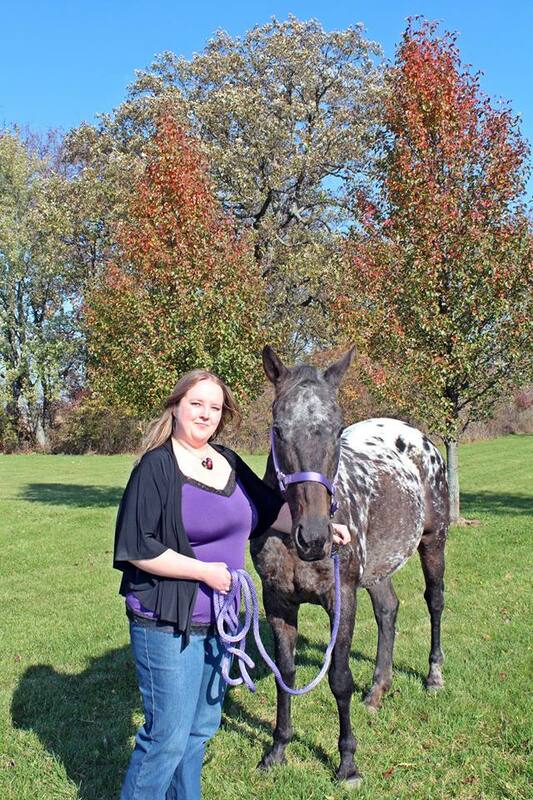 After treatment for colic and bloodwork, it was concluded that her liver was failing. Without sending her to the state hospital, two hours and several thousand dollars beyond my reach, there’d be no way to really know what was happening to her. And I had to take into account her age. She was going to be 25 in March. It might’ve been easier to accept if she’d been in poor health along with her advancing age, but up until the week she fell ill, she’d always had the energy and attitude of a much younger horse. I’d read that Appaloosas often lived to be 30. I felt like she was being ripped off. That I was too. But I was also glad it was happening quickly and she’d never have to face the physical breakdown of growing old. Warm tears streaked over my chilled cheeks, chapping them. I rested my forehead against her neck, my arm draped over her spotted back. My heart ached listening to her grinding her teeth so hard it sent chills up my back—a sign her liver had given up, left her brain to swim in a sea of toxins and robbed her of her mind. Over the last few days, I watched her put her nose into the feed bucket, not to eat but only to go through the motions, and steadily lose weight. My heart began to tear as I tried to see that putting her down was the right thing to do. But, there was no amount of rationalization that was going to make it alright that my friend, my confidant, was losing her life. I’d cried so much that week that it felt like my natural state of being. I breathed in her scent and sobbed. Then, she moved. Her face came out of the corner and her neck bent around me pressing me against her with her ever-soft nose. And my heart broke wide open. Her hug could’ve been just another odd reflex but to me, it was everything. She did it again and was done. Somehow, even with her body failing, she found a way to give me some peace. So many memories had battered me as I struggled for that week, and came to terms with the reality of my impending loss. I remembered the first time I saw her at the boarding stable where I cleaned stalls, pulling the cross-ties tight, the whites of her eyes gleaming. She’d injured herself running through her owner’s fence and had nasty slices on her front and back legs. She was there while her owner repaired the fence. The weeks passed and instead of fearing her, like I probably should’ve, every time I cleaned her stall, I grabbed a soft bristled brush and carefully brushed her between the eyes. I offered her the ends of carrots from my other job in a restaurant kitchen and though it would be months before she would take them from my hand, I felt a connection to her. 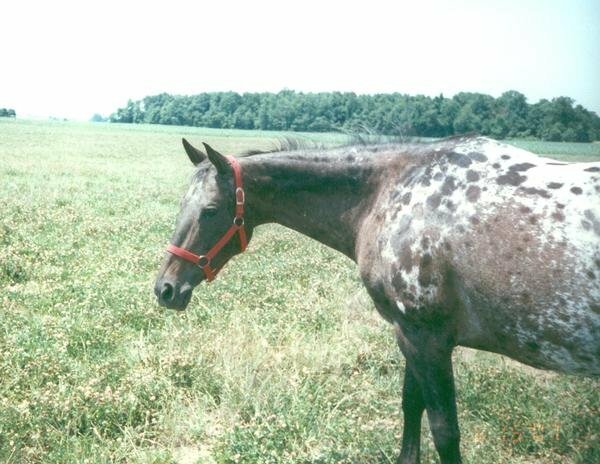 I remembered the excitement I felt when that same friend offered a place to keep a horse so I could realize a life-long dream. Then, the giddiness when I offered to take Scribbles off her owner’s hands and she agreed. I remembered the first time I sat on her back, after months of ground work and trust building. I remembered when she took a carrot from my palm for the first time. I remembered the way she’d be completely calm as I sat on the built-in feeder in her stall and scratched the place where her rump met her tail. How she’d often back herself gently toward me, suggesting that it was time for another scratch. I remembered every fight, lie, and betrayal that she helped me through just by standing in her stall while I brushed her. I remember the debilitating depression and how sometimes, the only thing I looked forward to was barn time. I remembered how after every ride, she tossed her head excitedly in her stall, waiting for her apple. 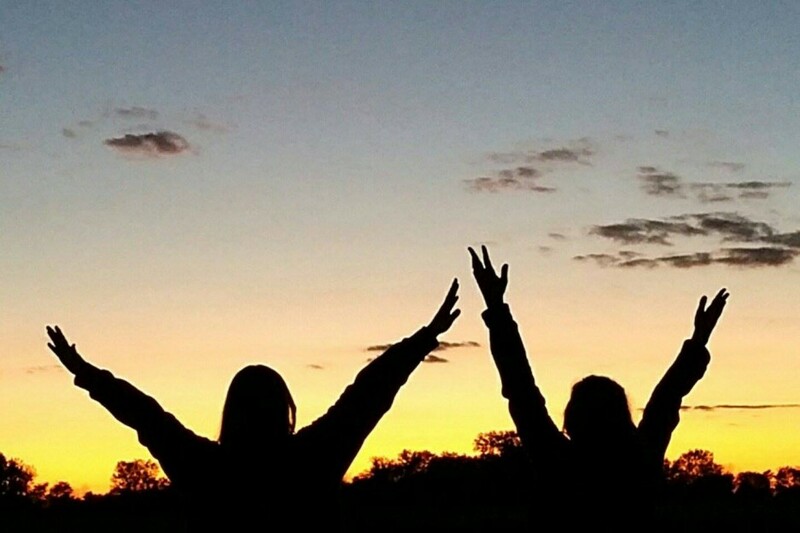 I remembered the day she broke my arm, the day I learned the value of not skipping steps just to get to the fun part. I remembered how nearly every time I came to the stable, America’s “Horse With No Name” would play on the barn radio and it became something of an inside joke with Husband and me. Most of all, I thought about that soft nicker she gave when I came into the barn and how much of a hole its absence would leave in my heart. That afternoon, as the sun was looming just over the horizon, I led her from her stall for the last time. She was very weak from not eating all week and we moved slowly through the grass. 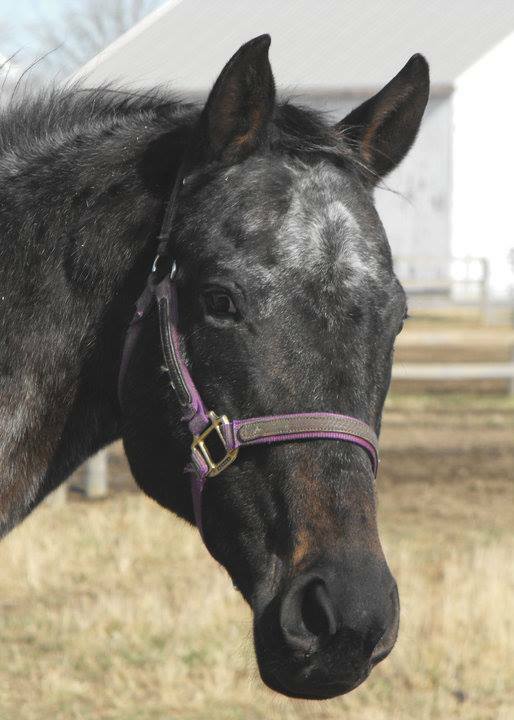 Her stablemate, Bo, was placed in a pasture near the place that had been chosen for her. They didn’t do well apart and there was hope that if he saw her fall, he would understand. As we approached the spot, she lifted her head high, her nostrils pulling in the chilled February air, and she called out to him as he grazed in the pasture they’d shared. For a few seconds, the light that her eyes always held came back and my breath caught in my throat. Then the burst of energy was gone and her head drooped again. It was suggested to me that I might not want to be there for the euthanasia, or that I might at least want to turn around. There was no doubt in my heart that I would hold onto her as long as I could. There was an inner conflict like I’d never experienced before, as I watched the vet put the needle of the catheter into her neck. My heart was screaming “STOP” but my mind held my tongue. I grudgingly handed over the lead rope when the vet said the first injection, a sedative, would cause her to collapse and he didn’t want me to get hurt. I stepped back. He held her head by her halter as his wife and fellow veterinarian administered the first syringe. While the visual of Scribbles’ eyes rolling back in her head and her body going limp is an image that will likely stay with me forever, I couldn’t have left her. She went to her knees first and as she fell like a marionette whose strings were abruptly cut, the vet dug his boots into the soft ground and maneuvered her to the ground. Her eyes were open but there was no life behind them. I sank to my knees at her head and stroked her face, my tears falling into her hair. The vet administered the unbelievably large syringe of pink liquid and I continued to pet and murmur that I was there and she was a good girl. And then she was gone. But she was a good girl. She was flighty and clingy to her stablemates. 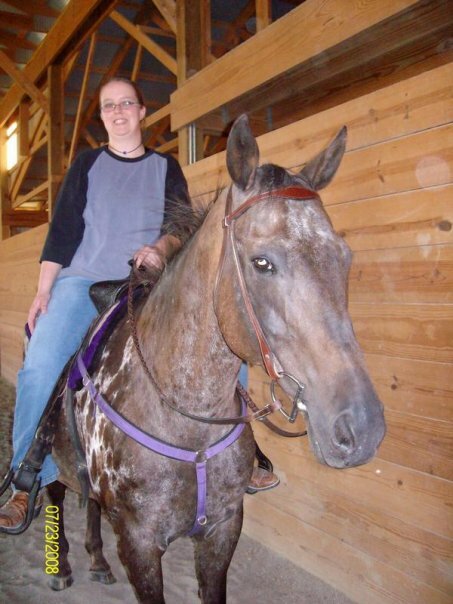 She was too lame to ride sometimes, thanks to poor care from the owner that had her first. 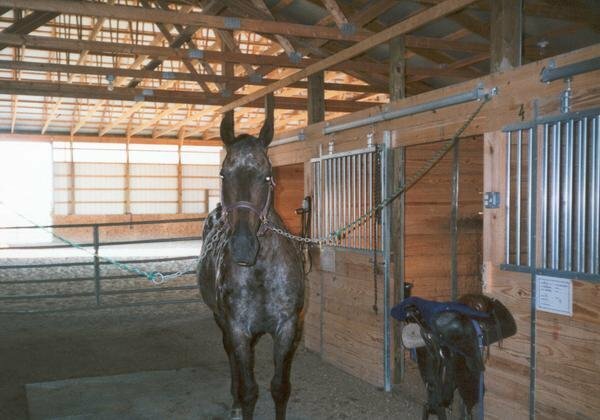 She was as sloppy as any pig when kept in her stall. But she was my friend. It wasn’t about her perfection or her usefulness. It was about love. The vet removed his stethoscope from her ribs and stood to let me have my time with her. While I’m not religious at all, I am spiritual. I imagined her energy leaving her broken body, flowing through me and running through the nearby field. As if my feeling was reality, Bo, who had been grazing in the pasture a few feet away, seemingly ignoring us, suddenly jerked his head up. 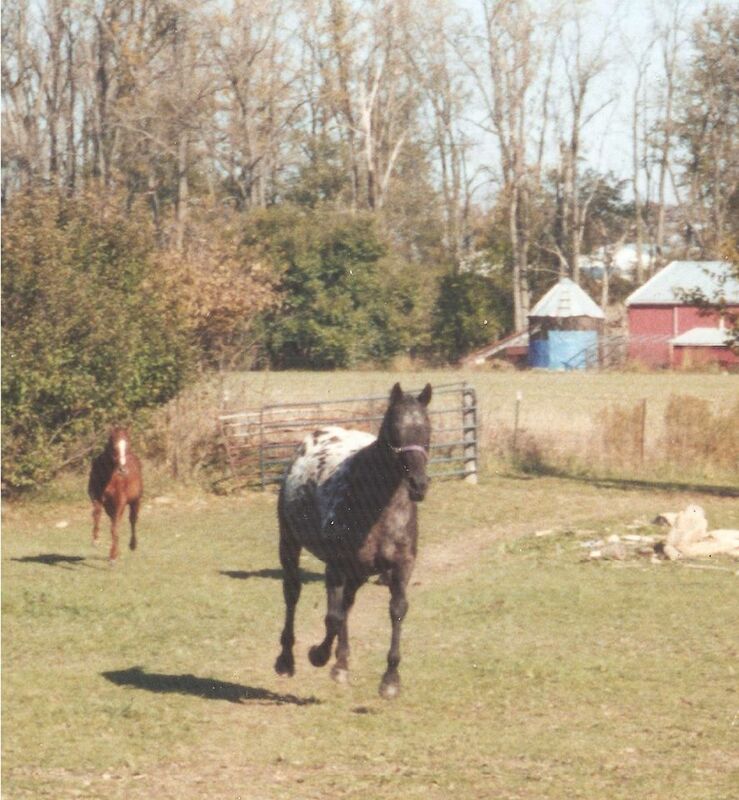 He let out a high-pitched whinny and took off across the pasture. He ran, screaming, from fence to fence. It was several minutes before he stopped, and even then, he was alert, snorting as he looked around. 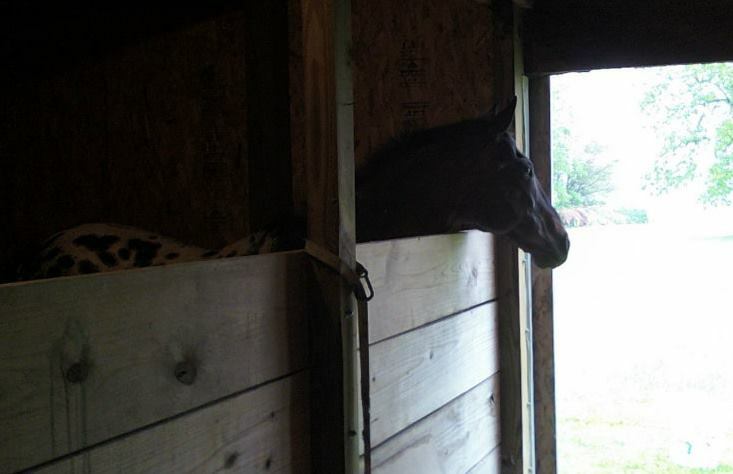 He didn’t stop looking for her for months and neither did I. I never got used to her stall being empty. Eventually, I didn’t need to come to the barn to help out anymore. 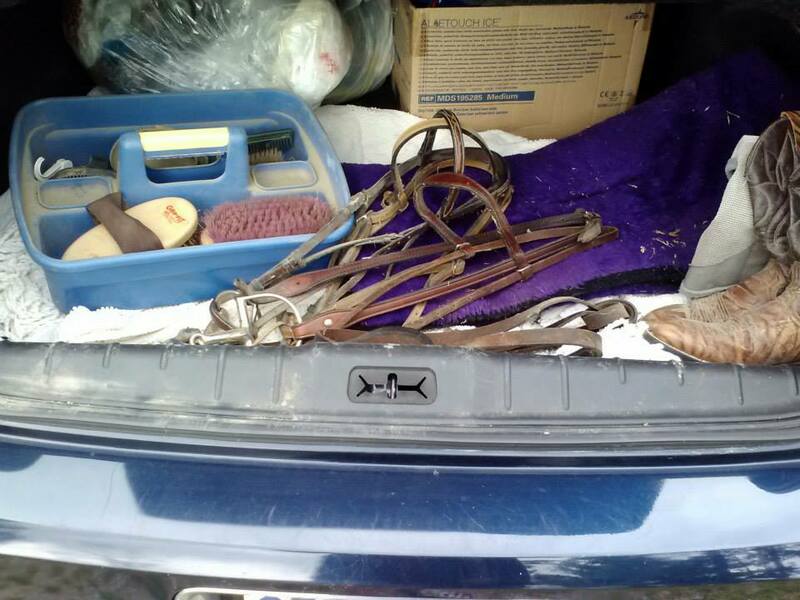 And a few months later, when I felt like I could handle it, I returned for her tack. As I entered the barn, I heard the song. “Horse With No Name” was on the radio. It felt like she was letting me know that she was still there for me, even if it was just the result of a radio station with a limited playlist. A tear rolled down my cheek and I couldn’t help but smile.